Huge – Tremendous – Gigantic Thanks to HeadsUp! Lancaster and specifically Justin Rule for believing in me, now us, and truly walking the talk. As Justin Told me, “Heads Up believes that every person has been Divinely gifted for a unique purpose and we seek to help people discover that through urban arts. We call it ‘releasing vision through urban arts that transcends circumstances.’” Anyone who would like to donate to Pedaling for Peace may do so through Heads Up Lancaster. 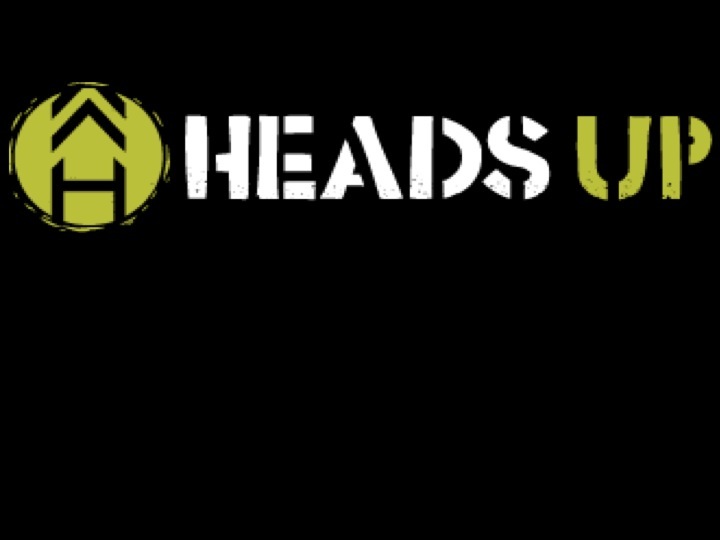 I also encourage you to donate to Heads Up Lancaster as I have met them and they are what they appear to be and SO MUCH MORE! Lets see, thanks to you, I have saved my toes from frost bite with youur super crazy ninja wool socks, and have stayed dry with the EMS super sweet rain jacket with review coming! Aloha! You will forever go down in my short history as the very first eyes of the ride! Thank you so very much for your donation of a camera, unfortunately it is now dead, but, thats the breaks (ha!). Thanks again for everything! I dont really know where or how to begin, that is the way things usually start when you’re overwhelmed and to this day, in thinking about the beginning of this adventure, I would like to think that it is largely due to Luke Shirk that I am where I am. On the phone Luke told me to come by and we could talk. I never expected what happened next, we chatted for a few minutes and then he just started walking me around thier shop and filling my arms with whatever I needed. I cannot imagine the tally of the bill and I even asked him if there was anything I could do, if he wanted to get a tax rebate with the non-profit that sponsors me… he said something that I still think about, and may think about to the very end of my personal road in life. Its all a wash in the end. I had heard this many times and never really though about it, and yet, here was a man who lived his life in that way. To this day I don’t think I fully understand what I learned from him on that day, I can only hope that someday I will. Thank you very very much to Mr. Luke Shirk, his family and everyone who works at the shop. You really started me off on a yellow brick road, I thank you. Aloha!